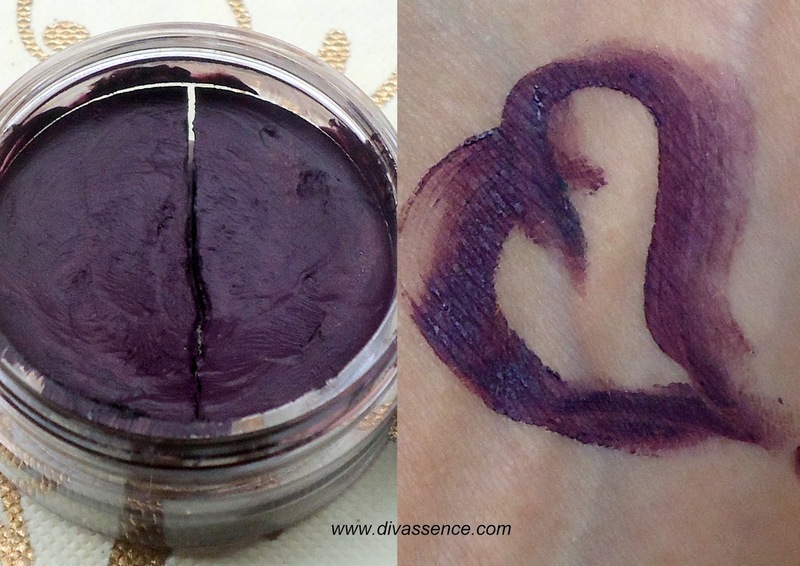 Inglot AMC Gel Liner: #74: Review/Swatch/FOTD - Divassence! Description: High intensity pigments provide ideal coverage and rich colors after just one application. The creamy and delicate long lasting formula dries in 60 seconds to water, smudge and crease proof finish. Long-lasting, waterproof formula. 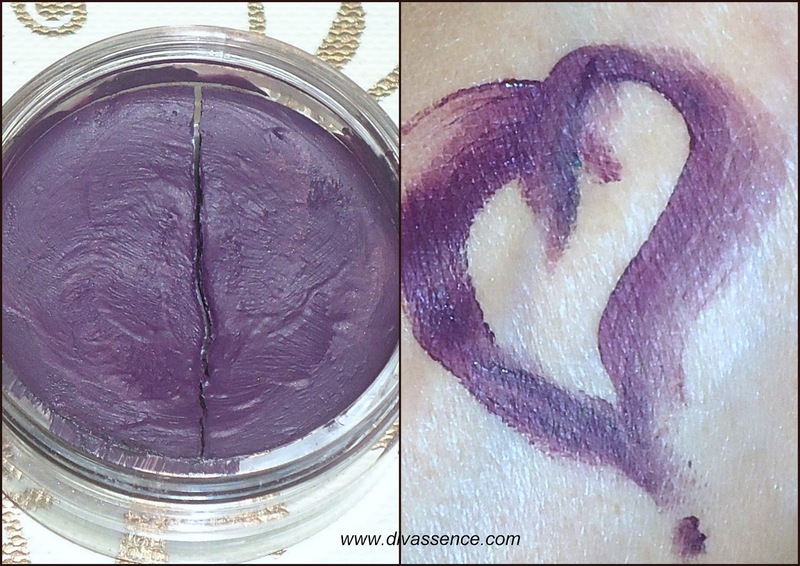 Can be used as an eye shadow or body painting gel. Brush number 30T is recommended for eyeliner application. Paraben free formula; not tested on animals. These are one of the best gel liners available in the cosmetic world. But there are some points about this gel liner which would make it either a hit or a miss with you. I myself am in a love-hate relation with this liner. Shade: It is the most beautiful shade, that of a aubergine/deep plum color. It is a deep, eggplant purple that is unusual yet beautiful at the same time. The shade is what I totally adore about this liner. It is a kind of color that can be worn anytime and the matte texture makes it totally wearable. The deep color is easily visible on all skin tones and thus would suit everyone perfectly well. Texture: Here lies the weak point of this liner and the thing I dislike. Though initially the texture is smooth and creamy and easily to apply but with the passing of time, the liner literally becomes hard and difficult to apply (even if you keep the pack tightly closed and in an upside down position). You can see in the picture below that the liner had dried up and even cracked in the middle. So I always use the Inglot duraline to make the liner usable. Pigmentation & staying power: The gel liner is highly pigmented and comes off beautifully with a single swipe. The liner dries out pretty quick which on one hand makes it smudge and budge proof for several hours at a stretch but on the other hand, increases the difficulty in correcting the liner if the application goes wrong anywhere. Also you have to use a waterproof makeup remover to get it off your eyes at the end of the day. Packaging: The transparent plastic case with a slightly glossy black lid looks elegant. It can be used as a base to increase the longevity and intensity of your favourite eyeshadow. Looks lovely as a liner and goes well with all outfits. The matte texture makes it safe to be used on waterline too. Totally smudge proof once set. You need to buy the duraline to make it usable when it has hardened up. Difficult to rectify if the application goes wrong as it sets within seconds. Final Word: Definitely a must have shade in every vanity. I love to use this as a base for my plum/wine/black eyeshadow. It dries quickly which is a letdown but my duraline always comes handy in that situation. So I do recommend it. ← As Beautiful As Your Work: My Inspiration! For how long did you have it? It dries up pretty quickly, I had the black one and I regret paying so much money couldnt finish even one fourth of the product. At the price I paid I wont buy another one, but his shade is so pretty.